I promised a few new recipes before May 4th! 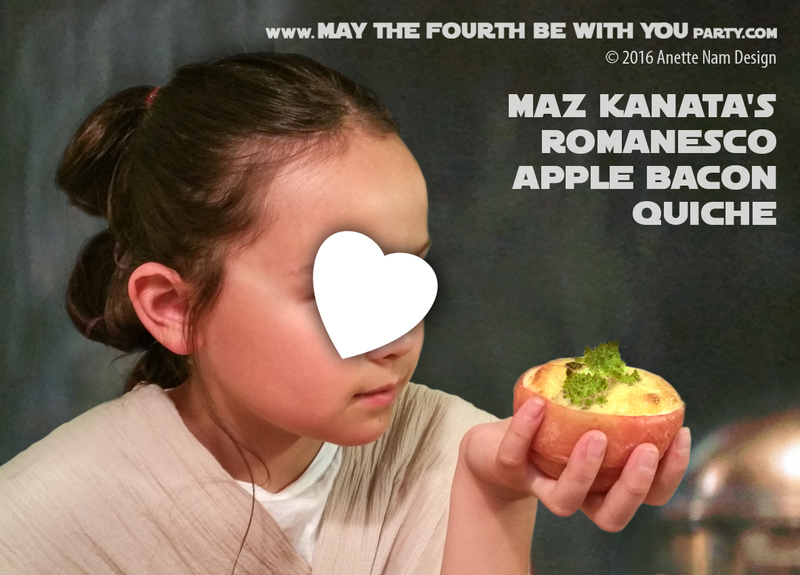 So, just in time for Easter, and May the Fourth I present to you our BB-Ates appetizers! We first served them at our May the Fourth be with You Party 2 years ago, and they went like hot cakes. The kids must have eaten a half dozen each. 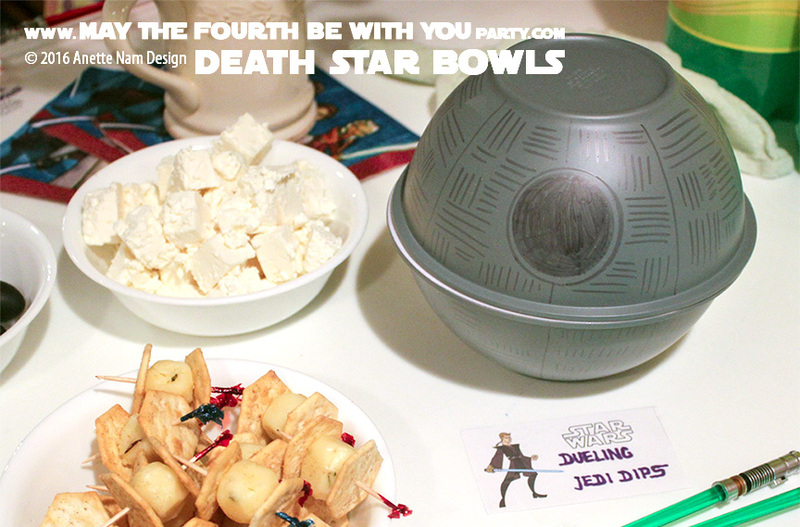 Ultimate “May the Fourth be with You” Party Menu! One of the biggest complaints about the original Star Wars trilogy is that the Stormtroopers can’t shoot. No, let me take that back, they can shoot… they just couldn’t hit the side of a barn if their lives depended on it (which, of course, it often does). Looking back though, it is also one of the (many) things that makes the series so fun and special. 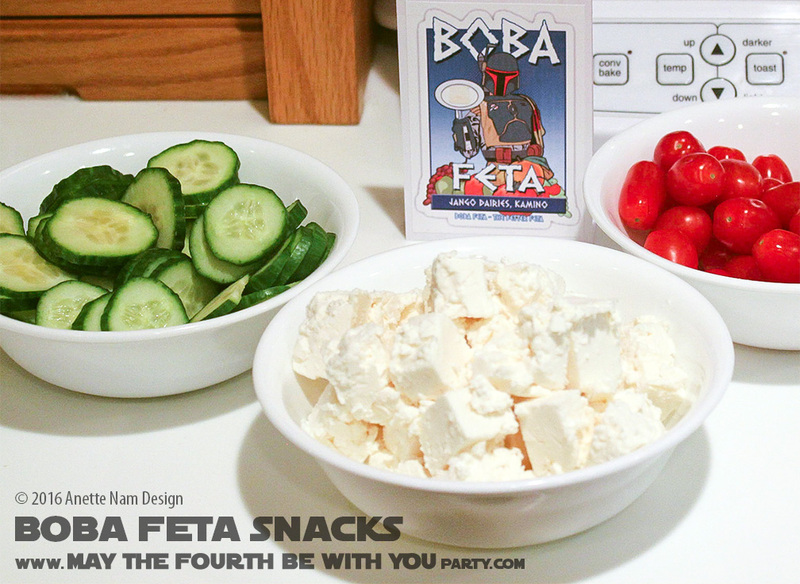 A few years ago, M4P friend Amy brought this amazing Boba Feta Snack to our May the Fourth Party. It had nothing but gorgeous, out-of-this-world Feta cheese, tomatoes and cucumbers. And really, who could possibly ask for more? (I admit it, I’m a big fan of cheese!) Just like any good cheese snack, the less interfering with the cheese the better, and this was so good, you didn’t even need (or want) crackers. (Woo-hoo, gluten-free)! 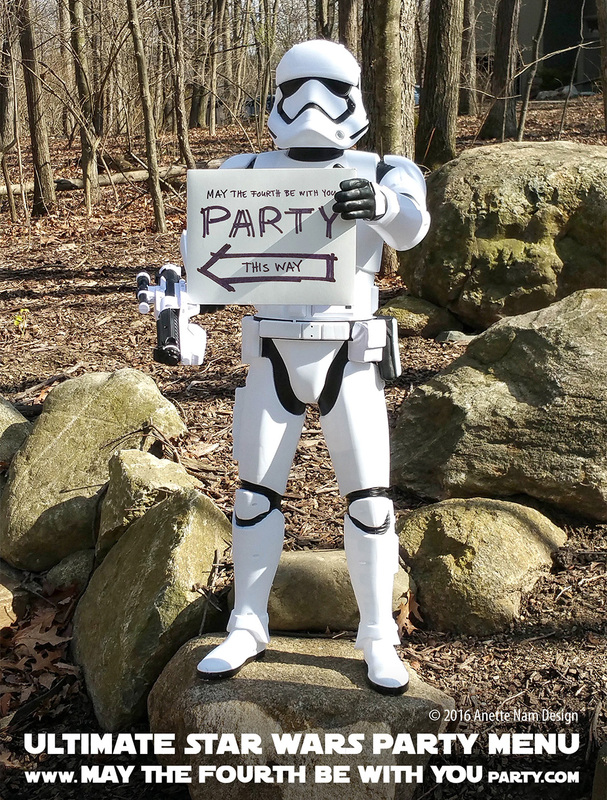 We had our very first May the Fourth be with You Party in 2011. Yup, that was way before “May the Fourth be with You” was even a thing. If you check Wikipedia it says its very first occurrence was in 2011.